Timothy J. Hennessy, PLLC was founded by Timothy J. Hennessy in 2009. While in law school, Timothy was a member of the Intra-School Moot court team. He was admitted to the New York State Bar in 2009. 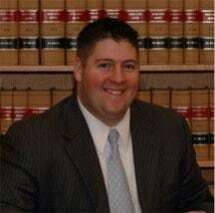 After graduating from the Thomas M. Cooley Law School in Lansing, Michigan, Timothy returned home to Buffalo, NY to start his practice in nearby Williamsville, NY with the intention of establishing his firm as the premier criminal and divorce lawyer in the area. I always put my clients first. From expert divorce lawyer services to secure DWI attorney service, you can rest assured that I will listen to your problems and put you at ease no matter what the circumstances are. Going through a legal battle can be a terrible ordeal, but it doesn't have to mean putting a pause on your life. Whether you're in need of a DWI attorney, divorce attorney or a child custody attorney, allow me to work on the details while you get back to living. I invite you to look around this site, call me with any questions, or come in and see me today. All of my defense services are comprehensive and detailed on my end, with the goal being a simplified experience for my clients, with whom I maintain open communication at all times. If you need a divorce attorney or a child support attorney in the Buffalo, NY area, I can give you a thorough consultation that will explain the process and answer all of your questions. I will listen to you and offer my expert advice. My law office is conveniently located just outside of Buffalo, NY in Williamsville.